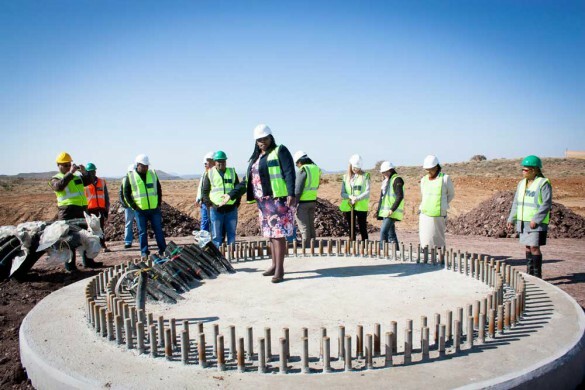 Noupoort Wind Farm, situated in the Umsobomvu Local Municipality, in the Northern Cape, has announced the completion of its first 14 foundations. Employing over 200 local workers, the wind farm finished its first foundation on 19 May, with all 35 foundations due for completion in just a few months from now. “Already many people are being employed 202 local people are working on the project including assembling the foundations for the wind turbines, almost a dozen of which have been cast to date. Employment of local labour will continue throughout the construction period,” said Project Manager of Noupoort Wind Farm, Martina Flanagan.